Pasture-based farming can be challenging. There is no “one-size-fits-all” solution, and ‘best management’ practices for one part of the country can be worst practices for another. A Greener World recognizes the challenges involved in achieving profitable, high-welfare, pasture-based farming. Our standards provide a framework for livestock management, but this isn’t the whole story. We know there are times when extra support is needed. If you are experiencing a challenging issue and are having trouble pinpointing the cause, or if you know the cause but are having difficulty finding a solution, you may find the answer from the resources listed below. If you’ve checked the Technical Advice Fact Sheets and read our magazine—and you still have unanswered questions—you can email us at info@agreenerworld.org or call 1-800-373-8806. Farm Health Online is a free access website for farmers, ranchers, advisors and veterinarians, offering practical information to support high-welfare management of food animals in outdoor systems. With entries on over 100 common livestock diseases, information on nutrition, housing, breeding and husbandry, as well as public health, biosecurity and legislation, Farm Health Online is a powerful–and essential–tool to support the transition to more sustainable farming practices. Find out more here. Our Technical Advice Fact Sheets cover the most commonly asked questions and on-farm situations—ranging from soil testing and health plans to castration and tail docking. 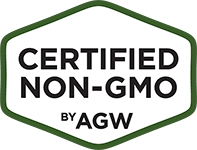 Written in an informal and accessible way, they are designed to help farmers make informed decisions, and also to explain the science and research behind our standards. Find out more here. 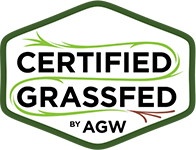 As well as keeping farmers and ranchers up to date with program activities, AGW’s Sustainable Farming magazine and our monthly e-newsletter, Focus on Farming, include technical articles for most farmed species and information on compliance with our standards. Join our mailing list or browse past magazine issues. 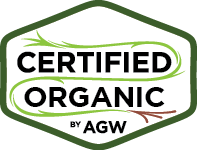 In addition to publicly available technical information, certification and marketing assistance, our dedicated technical support is another valuable tool available to farms working with AGW. Our team has a vast range of practical experience across all farmed species. We also have an external network of experts, researchers and experienced farmers and vets who we can also call in if needed. 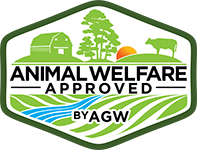 Our goal is always to provide resources and information that farmers and ranchers can put into practice, and to support compliance with AGW’s published farm standards. We’re confident the information we provide can help you avoid many common mistakes, save time and money, and improve resource use on established farms. We encourage you to reach out if we can be of assistance. Email us at info@agreenerworld.org or call 1-800-373-8806.